Hey, does anyone know Hazbin Hotel? 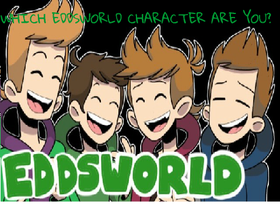 Which Eddsworld Character are you? Digital Technologies Study Group of SWEAGNESS!! TELL YOUR FUNNY VAL. DAY STORIES HERE! !